University of Bath engineering student Martins Zalmans has been named winner of the 2017 Autosport Williams Engineer of the Future Award. Martins Zalmans named winner of the 2017 Autosport Williams Engineer of the Future Award. 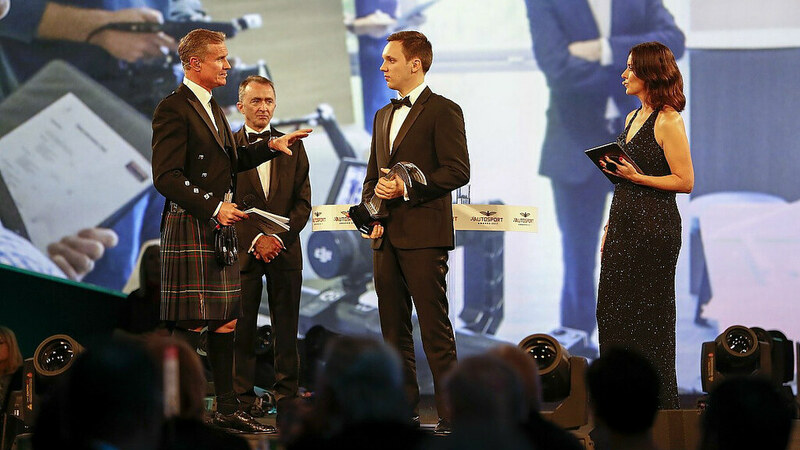 MEng Mechanical Engineering student Martins Zalmans received the accolade at the annual Autosport Awards at Grosvenor House Hotel, London, where he was announced as the latest recipient of the prestigious award. Launched in 2015, the Autosport Williams Engineer of the Future Award is an exciting annual award recognising a rising star of Formula One engineering which supports them through an accelerated career development programme at Williams. Martins was selected as the winner from five student finalists chosen from the top eight UK universities. Finalists took part in a two-day assessment at the Williams HQ where candidates were challenged across a range of engineering tasks, testing their teamwork and approach, and the depth and breadth of their technical knowledge. In addition to technical tasks, finalists also completed a professional development personality analysis and sat an engineering exam written by Williams Chief Technical Officer Paddy Lowe. Martins will now join Williams on an initial two-year placement. He will be mentored by senior engineers before specialising. During the placement, Martins will also get the unique opportunity to work in the team’s race operations division and gain experience at a Grand Prix. The students were assessed by a panel of judges comprising leading industry, academic, media and Formula One personnel including: Paddy Lowe, Chief Technical Officer at Williams; Nicola Salter, HR Director at Williams; Edd Straw, Autosport magazine; Tony Purnell, Former Team Principal of the Jaguar and Red Bull Formula One teams and Royal Academy of Engineering Visiting Professor at the University of Cambridge; and Richard Parry-Jones CBE, previously Group Vice President of Global Product Development, Chief Technical Officer and Head of Global R&D Operations at Ford Motor Company.